28 | January | 2016 | Education and Early Intervention Service – The Blog! Thinks You Need to Know From Last Week - And a Few You Don't! SWANS, GLIDING, AND THE MAGICAL PROPERTIES OF RONSEAL!!! I did a ‘Back To The Floor’ session last week shadowing Charlotte in the Education Business Partnership (EBP) – it was one of those sessions where I realise that for lots of our services what I see in effect is a smooth gliding swan – what I rarely get to see close up is how much effort, energy and commitment is going into that gliding service! 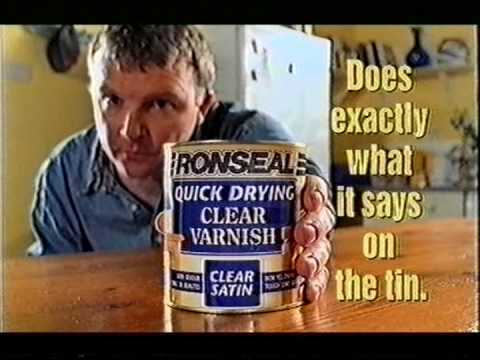 The EBP team are a wonderful example of the Ronseal effect…..
they do what it says on the tin!! They try to foster and develop a partnership between local business and education and they are mightily successful at it – so much so that the EBP is now commissioned by several schools in other boroughs – in fact the major limitation is the practical one of the time it needs when schools are increasingly further away from Sutton. Charlotte works on programmes which I’m pretty familiar with – ways to work training for target students, work experience placements and careers events. But my back to the floor morning made me realise that what I’m familiar with is the end product rather than the processes, thinking and creativity that goes in to those end products. It was a fascinating morning – and while it happened to coincide with a Modern Desktop crash I think bizarrely that gave me even more of an insight into the work rather than less. I took many things from my visit including how much of a mentoring role the staff play in directly supporting young people and the difference that makes, the complexity involved in something like work experience when it sounds so simple on the surface and the fact that the apprenticeship programme through which Charlotte first joined us really is a rich source of talent and ability! My thanks to Charlotte and her colleagues for hosting me. My next back to the floor takes me to the team next door to the EBP but to a rather different role as am spending a morning towards end of Feb with Sophie in the Virtual School for our Looked After Children. If you’re interested in back to the floor yourself, please let me know as I’d love to spend some time shadowing you in your job learning what you do and how it all works. Drop me an email and I will arrange to spend a morning or an afternoon with you. William and I met with almost all the primary heads in small groups last week to talk through the spin out proposals and the opportunities and implications for schools. The meetings were a useful starting point to both inform and engage schools in the plans. As is always the case with these things the sessions varied both in tone and content. Some of the heads got it straight away and their approach was very much about how they might contribute and benefit. It’s fair to say others were unsure and some were pretty sceptical – but given the scale and nature of the change I thought the range of responses and reactions was pretty much what you’d expect. We will be trying to both summarise those sessions generally and address some of the myths and misconceptions in particular when we meet Primary Heads again collectively on Friday. There will be a peer review of a range of aspects of the Councils work through the Local Govt Association. As part of the review there will be a series of workshop/focus groups and the intention is to gather perspectives from all parts of the organisation. So with that in mind I’ve been asked to make nominations and suggestions on people from our division who might contribute to one of these themed focus groups ranging from front-line practitioners to Heads of Service. So if you are contacted by the LGA peer review team or by the corporate team managing the review then you will know that’s come through me suggesting it and I hope you’ll be able to join in if you can. And in joining in I hope you will give an honest and balanced view on the relevant aspects – cos that’s why I’ve suggested you! Last weekend my Essex- educated daughter asked ” When are you going to Strudel-Hofen?”……………………………..
After several seconds of bemused head-scratching I cottoned on – “Do you mean Copenhagen?!!!!”. She ended the conversation by telling me about more new clothes she’d bought for our trip (quelle surprise!!) – all about colour co-ordinated hats and jackets and stuff I didn’t understand. And then the Wirral-educated love of my life said “I’ve been checking the weather up there and I want to be ready for it – it’s absolutely freezing in Iceland……..” I just nodded and decided not to blame the quality of geography teaching in Essex after all! The funding challenges we see in Local Government are arguably just as challenging for the adult education and further education sector. They’ve seen considerable reductions in funding support over recent years and it shows no sign of changing. With that in mind there are Area Based Reviews happening cross border to look at the scope for greater integration and alignment. There will be a pan-London review and we’ve just signed up to that where our representation will come through the Adult College. We’ve had a few sessions with staff discussing what the scope might be to adapt the way our adolescent services work. We’re looking in particular about what a service that targets young people ‘at risk’ actually looks like and who we might include into that definition of ‘at risk’ or even ‘vulnerable’. Having worked up the bones of a service specification the managers of the respective teams are now talking to staff further about adding some flesh to those bones so to speak. We will then present a proposal to members initially at Strategy Team on 5th Feb for a political steer and from there it will be considered by the Children’s Committee on Feb 25th. In our work with children, young people and families most of us come into that from some sort of role-specific training and background – for me it’s teacher- training, for others it might be training for social work, youth work, SEN, early years, counselling etc. Over recent months I’ve been looking at the scope to add to our collective skill sets through techniques which are potentially applicable in lots of areas rather than being role-specific. I’ve now asked Paul in Public Health to discuss further the potential to at least pilot some training on coaching in conjunction with sports coaches and using similar techniques. We’re looking at it with the sports coaching charity 21st Century Legacy – up till now they’ve done business and schools and we’re exploring scope to adapt to our work. We’ll get back to you further once we’ve shaped it up a bit more. 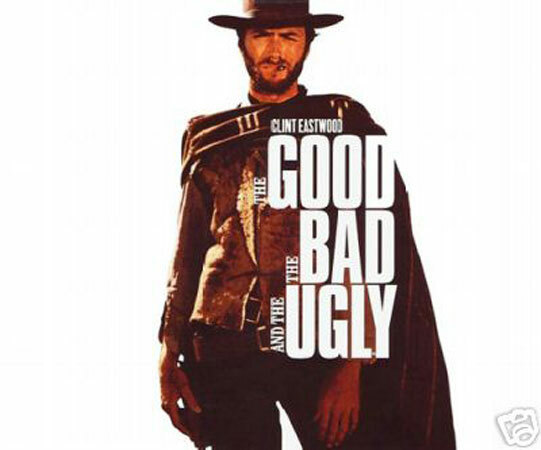 SUTTON’S INANIMATE OBJECT ANSWER TO CLINT EASTWOOD – MODERN DESKTOP!!! On the good side – when it works it’s pretty good I think and I get sense most of you think so too! When it’s bad though – like the problems most of us had last Wednesday it’s certainly frustrating but it’s usually short lived and those crashes are getting less and less frequent. Alas when it’s ugly it can be much more problematic and can hinder service delivery. If that happens and you’re not getting the response you need as quickly as you need it, let me know. It was instantly like those moments in old Westerns where tumble-weed blows through a one-horse deserted town – I kept quiet and went back to just being useless!